Bruce Anchor Cruises operates within Fathom Five National Marine Park which occupies some of the most pristine waters in the Great Lakes. Fathom Five is home to numerous historic light stations, over twenty known shipwrecks, and Flowerpot Island. 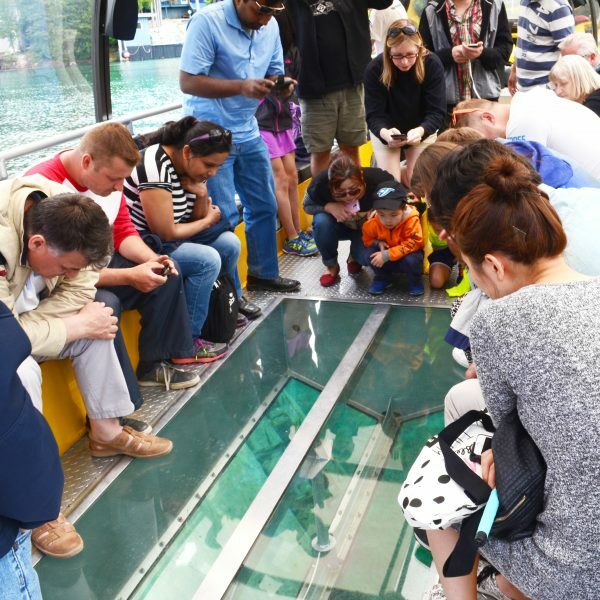 Our extremely unique and modern glass bottom vessels depart Tobermory on a regular schedule. Our tours operate during the spring, summer, and fall! Within 5 minutes of departing our dock passengers are given an opportunity to view two 19th century shipwrecks, The Sweepstakes, The City of Grand Rapids and Flowerpot. All registered guests staying with Bruce Anchor Motel & Cottage Rentals Sunday to Thursday nights from June 27th, 2019 to September 2nd, 2019 receive 20% off the first sailing on the stay aboard glass bottom boat tour operating from Monday to Friday. This promotion is subject to availability and sells out quickly, so we recommend booking your seats as soon as you have booked your motel room. Simply input your confirmation number in the discount code section on the cruise booking to receive a discount. The booking will still show full price, but we will apply the discount manually before charging your card as long as all conditions have been met. This promotion is subject to availability and sells out quickly. We recommend booking your cruise as soon as you have booked your motel room or cottage. All registered guests staying with Bruce Anchor Motel & Cottage Rentals between May 4th – June 26th, 2019 and September 3rd – October 14th, 2019 receive 50 % off stay aboard glass bottom boat tours sailing from Monday to Friday, and the first sailing of the day on the stay aboard glass bottom boat tour on Saturday and Sunday. This promotion is subject to availability and sells out quickly, so we recommend booking your seats as soon as you have booked your motel room. Simply input your confirmation number in the discount code section on the cruise booking to receive a discount. The booking will still show full price, but we will apply the discount manually before charging your card as long as all conditions have been met. To receive your discount on the cruise, input your Bruce Anchor Motel & Cottage Rentals booking confirmation number in the discount code section. Your discount will not be automatically applied to your booking and your credit card will not be charged until your booking has been reviewed. All conditions of your booking must meet our discount requirements prior to credit card processing. Bruce Anchor Cruises are like no other! Our cruises will show guests the natural aquatic life of the Fathom Five National Marine Park. Guests will also have the chance to learn more about the history of the area from our expert tour guides. 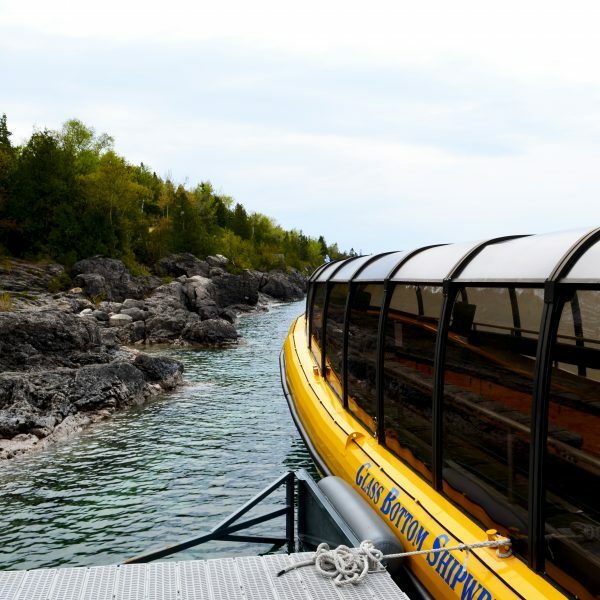 Bruce Anchor Cruises’ fleet of glass bottom boats are the best way to explore all there is to see around the Bruce Peninsula. For more information, to book a cruise or to book a stay with us this season, contact us today!